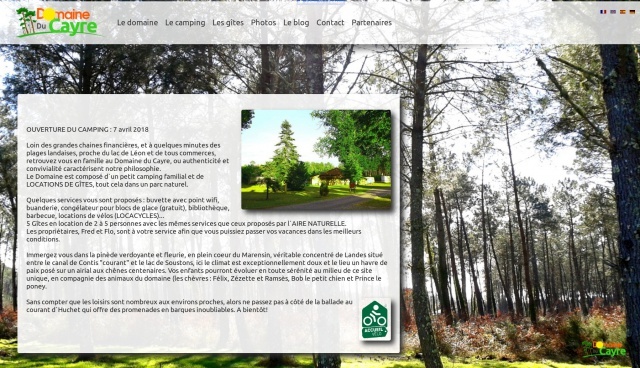 Domaine du Cayre, In the Landes nature, camping and holidays. Cassidy's Domain opens today its new http://www.domaineducayre.com web space. Information, photos, online booking. Good browsing.